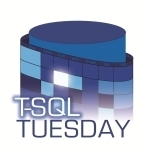 So, it’s another T-SQL Tuesday! This time, it’s around Disaster Recovery, and is hosted by Allen Kinsel. Thanks Allen. For this month, I thought I’d share the experiences I had on a project a few years ago. This was for a multi-site retail organisation, where all the servers were hosted in the head office. We were in the process of consolidating a number of SQL Server’s onto a more powerful, and up-to-date SQL Server environment, and the process was going well. We’d got buy-in from the board, and had started the process of consolidation and upgrades. However (isn’t there always a however ?) a couple of weeks before Christmas, there was a power outage in the building. All power was gone. Due to the way the communications was configured, all network access on all remote sites went through the head office. Power going down meant no access to the internet for the sites. It also meant no access to the corporate servers (email, intranet, ERP systems). This also meant that the corporate website went down, since that was hosted in-house. Once power came back up, 4 or 5 hours later, the servers restarted, and all was well again. The website was the easiest, and quickest to resolve since that could be outsourced. The Corporate systems were more complicated, and required a little more thought. We needed to get a Disaster Recovery plan. Having spent a good long time going through everything that needed to be covered, and how to ensure that systems were up, running and resilient enough, but not outrageously overpriced (we thought…), we submitted the plan to the board. The first time through it was rejected due to price, so we trimmed a few bits (slower backup line, changes to SQL Server licencing), and resubmitted. It then went into ‘consideration’ limbo. By the time I moved off the project (8 months later), it was still being considered. Having said that, there hasn’t been another power-outage since then (2.5 years ago), so maybe they are lucky, but then again….